Google’s famous call making AI bot Duplex has been finally released, at least in some US cities. Sadly Duplex only works with Pixel 3 devices. It seems we have truly reached the height of both creativity and technology, and you know we will have something special when these two meet. Google’s famous call making AI bot has been finally released, at least in some US cities. The service is called Duplex, and people are very excited to see it perform in real life scenarios. Duplex will be able to perform voice calls and make reservations on a person’s behalf. So the next time you have to make a reservation at your favorite restaurant or want an appointment with your dentist, Duplex will have your back. Duplex is coming to Pixel 3 devices and only in selected cities, as reported by VentureBeat. Duplex can only make restaurant reservations at the moment. The feature is still in its testing phase but now has a much bigger testing pool. Oh, and it only supports English for now. Then you need to refine your searches by telling it the name of the restaurant or type of cuisine. 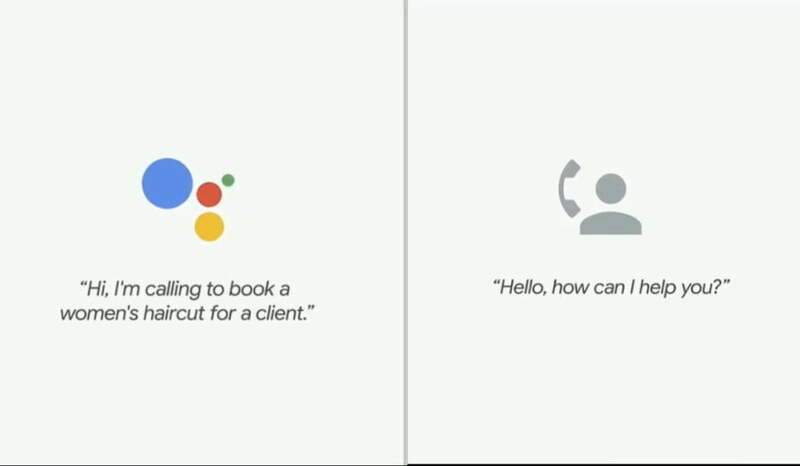 Google Assistant will ask for a few more details before Duplex can make the call. Once the booking phase is complete, users can view details about it or cancel the reservation. Users can delete reservations from the My Reservations screen. In case you were wondering what the call sounds like you can watch this video from VentureBeat. This is a pretty cool feature, to say the least. But it still needs to be refined. Google also needs to work out the ethical and legal dilemmas before the app can be made live for everyone. The amount of time it takes to enter information verbally onto Duplex is the biggest drawback of this service. Some might end up frustrated and make the reservation themselves. Then there’s the other more pressing matter. Who makes reservations in this day and age, it’s 2018 every major restaurant has an online presence. It is quite rare that a person had to resort to using their own voice to make appointments or schedule bookings. If the US doesn’t already have such features implemented, then it will soon move in that direction. Duplex might be useful for booking appointments for small businesses that do not have an online booking system. In the US there are close to 60 percent of businesses that do not have this system. A more useful feature would be to screen advertisers and mess with those pesky telemarketers. Maybe this will be Google’s next big step into AI and machine learning.